On 14th February, the Chairman led a small team to meet BBG Kerala at Horizon Hotel in Trivandrum. Following an informal interaction between a dozen companies mostly based in the Technopark, Vijay Kumar, our Committee Member for Kerala welcomed the visitors and introduced Christie Cherian, Prince Mathanda Varma, R Balajee and Dev Nair and other invitees. The Chairman expressed his pleasure at being in his home state and explained development of BBGs and value of membership to all in the Group even if one is away from the Chennai centre. One gets to interact with people one may not normally meet, access new ideas and learn of latest trends (not everything goes on the net!) – BBG offers reciprocity in other cities. He spoke of the visits that have taken place to Bangkok / Yangon / Dubai / London and other UK cities other than to Delhi, Mumbai and Pune / Goa in India. Christie also spoke of the new BBGs in Hyderabad and Bangalore. Prince Varma spoke to the audience of his own benefits of having been a member and how happy he was to attend a BBG meeting in his own city. 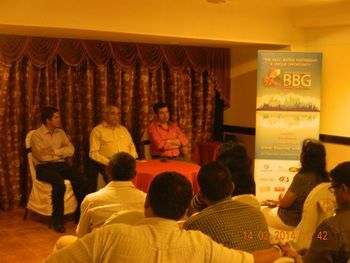 Balajee spoke of BBG’s visit to Goa and meeting with Goa Chamber and Business Incubation Centres. Dev Nair elaborated on the recent trade mission to Dubai in January. Positive outcome was BBG Kerala being able to add a few more new members to Group and it was agreed that the success of meeting ought to be repeated in June or July of 2014. A networking session followed over dinner – all very well organised by Vijay Kumar and his team from Testhouse India, one of BBG’s founding member since June 2011. 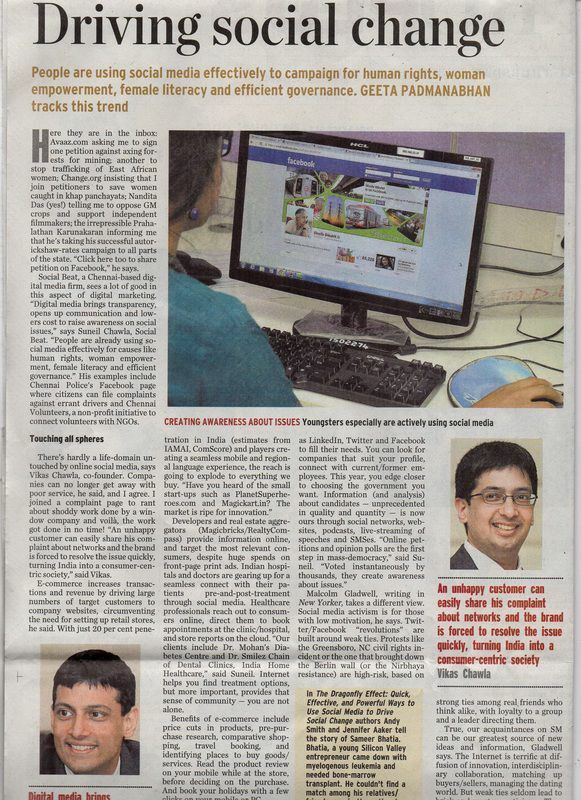 Suneil Chawla and Vikas Chawla from our member company, Social Beat were recently covered by Geeta Padmanabhan in The Hindu Metro Plus on how digital media is changing the social landscape in India.